I like pudding. 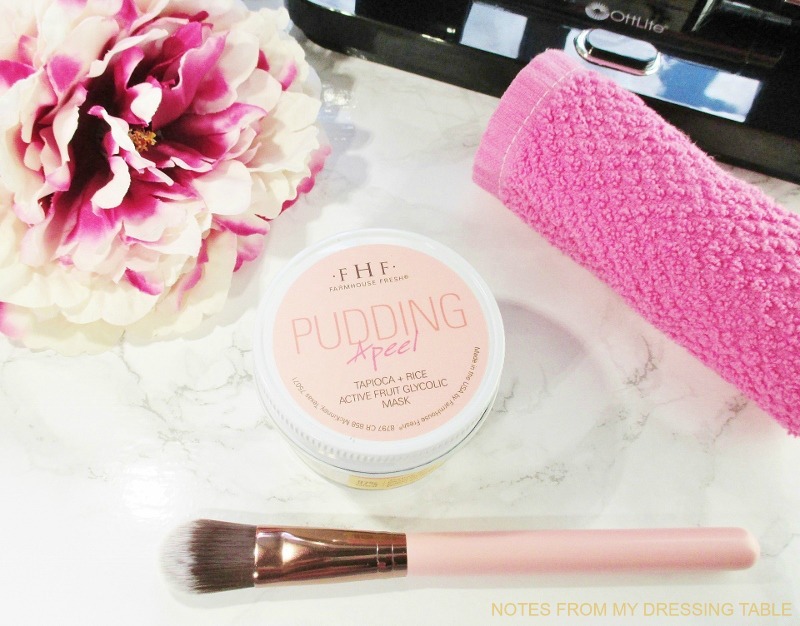 Who doesn't like pudding? I mean, it's sweet, rich, comforting and it makes me feel like a kid, again when I treat myself to a dish. What could be better? 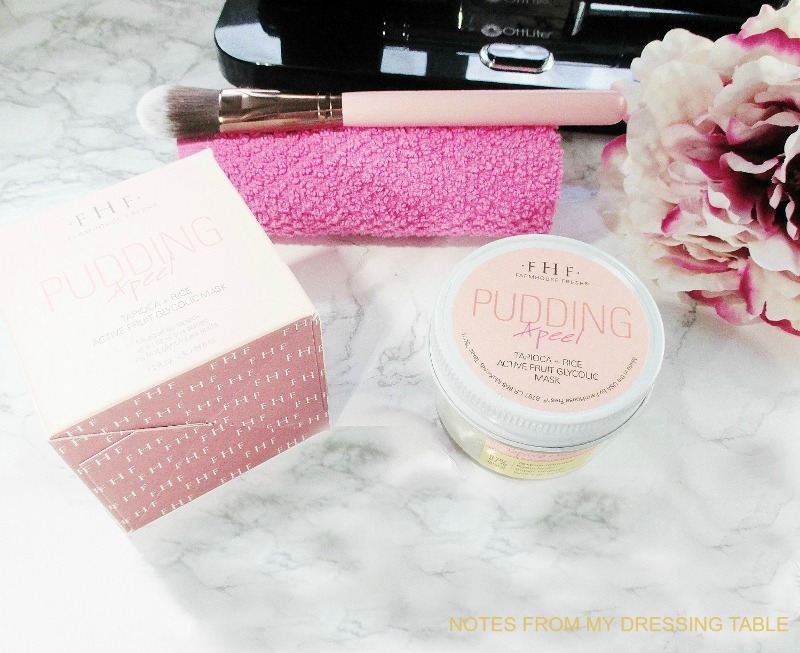 How about a jar of pudding for my face? Farmhouse Fresh, purveyors of all beauty luscious has created a delicious and tingly mask that combines Rice, Glycolic and Fruit AHA's to exfoliate and increase cell turnover while treating and improving the appearance of acne marks, dullness and uneven tone. Coconut Milk and Honey hydrate and plump while Tapioca, Green Tea and Honeysuckle Extracts soothe and make my skin feel silky smooth. How to use? I grab a synthetic flat foundation brush and smooth the mask across my freshly cleansed skin in a thin layer. Be careful to not get this too close to the eyes! Glycolic and eyeballs... Not compatible bedfellows. I kick back and enjoy the light tingling sensation and delicious scent while the active ingredients get busy on my skin. After twenty minutes or so (usually longer... I tend to get sidetracked when I'm masking) I grab a soft facecloth and rinse. A spritz of my favorite rosewater and my routine skin care to finish and my complexion feels insanely soft and smooth and looks radiant and even toned for days. Rich. Creamy. Deliciously edible smelling. You might be tempted to grab a spoon and gobble up your jar of Pudding Apeel. Don't do that. Just smear it all over your face and emerge glowing, gorgeous and looking forward to your next treatment. This mask is gentle enough to use as often as you please, but if you are sensitive or new to Alpha Hydroxy Acids, take it slow and easy. Test, first then treat your skin to this yummy mask once a week or so until your skin is ready for more. Don't forget that this sweet treat is serious stuff and makes the skin more photosensitive so it is best to protect that flower face with a high SPF sunscreen. I am so enjoying this sweet, creamy, dessert for my face. I love the way it smells, feels going on and how lovely my skin looks when I use it. If you want to treat yoself, get it here. You can also buy this and other Farmhouse Fresh yum from Dermstore and other select fine retailers and spas. Farmhouse Fresh is social! Find them on Facebook, Twitter and Instagram. Farmhouse Fresh produces and hand packs their delicious face and body care treats right here in the U.S. from mostly natural ingredients; they are proudly cruelty free and free of parabens, sulfates and some products are vegan and gluten free, as well. Have you tried Farmhouse Pudding Apeel? Isn't it delish? If you haven't, what are you waiting for? My First MAC Lipsticks ~ Do I Love Them?